Is there return on investment of talent development? 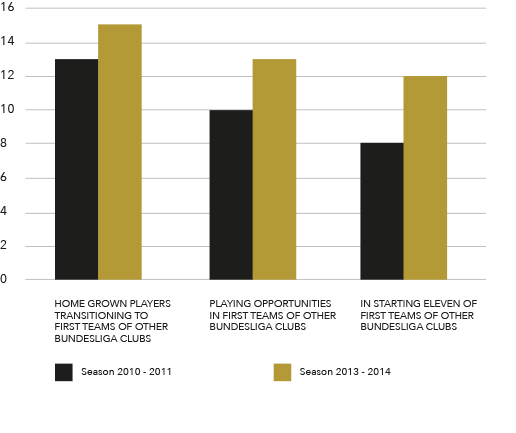 We have been assessing German Bundesliga clubs since 2006 through different cycles. These assessments emphasised the awareness about the crucial importance of talent development and resulted in more efficiently and effectively organised clubs. It is important to state that the implementation of our double pass model using our methodology and concept is a reason for success, but not the only one. Recent doctoral research at the University of Brussels showed that an increase in productivity (=own trained academy players transitioning to a professional environment) of a club can be explained for 54% by the criteria of our double pass model. The other 46% are non-controllable factors on which one does not have any impact on (e.g. geographic location, culture, economic situation,…). 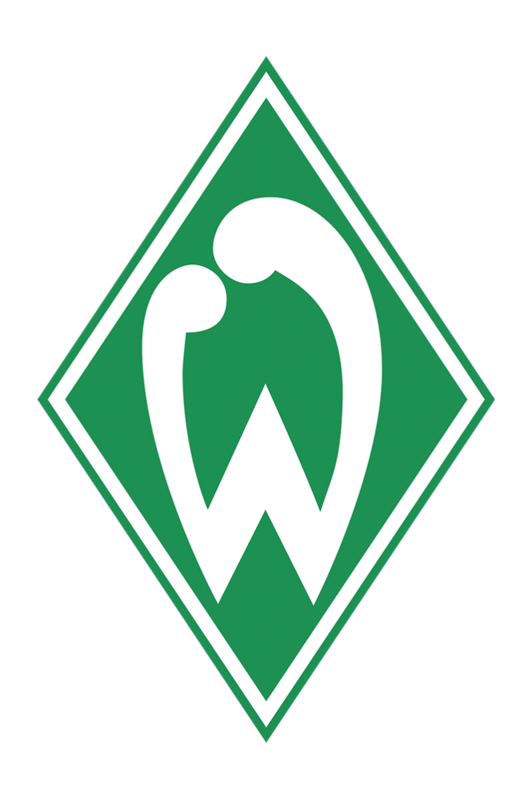 Knowing this, we have looked at the productivity (and thus return on investment) of the SV Werder Bremen academy from one specific angle: productivity for other first teams in the German Bundesliga.